Our original reclaimed frames are available in three sizes. 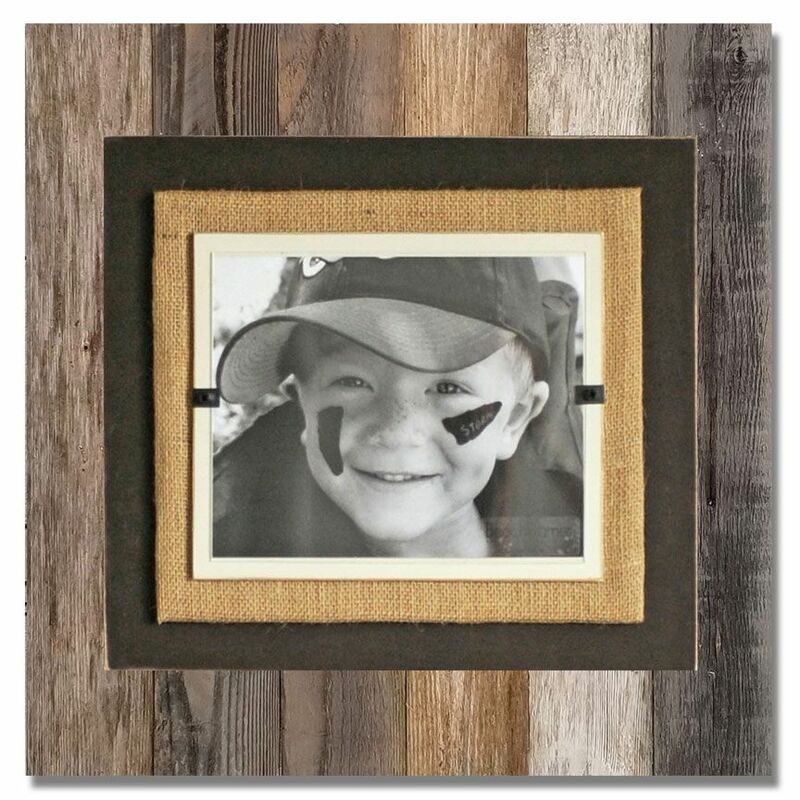 Crafted of weathered and painted wood with a burlap wrapped interior frame to feature your treasured photo. 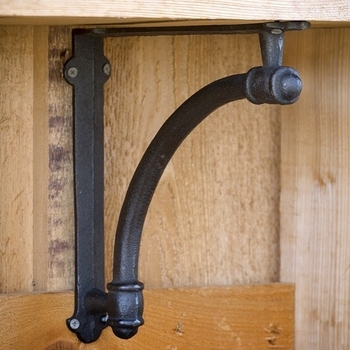 Easy front loading, clamping system under Plexiglas makes photo updates a breeze. We show three frames side by side in collage fashion for a statement making wall hanging. 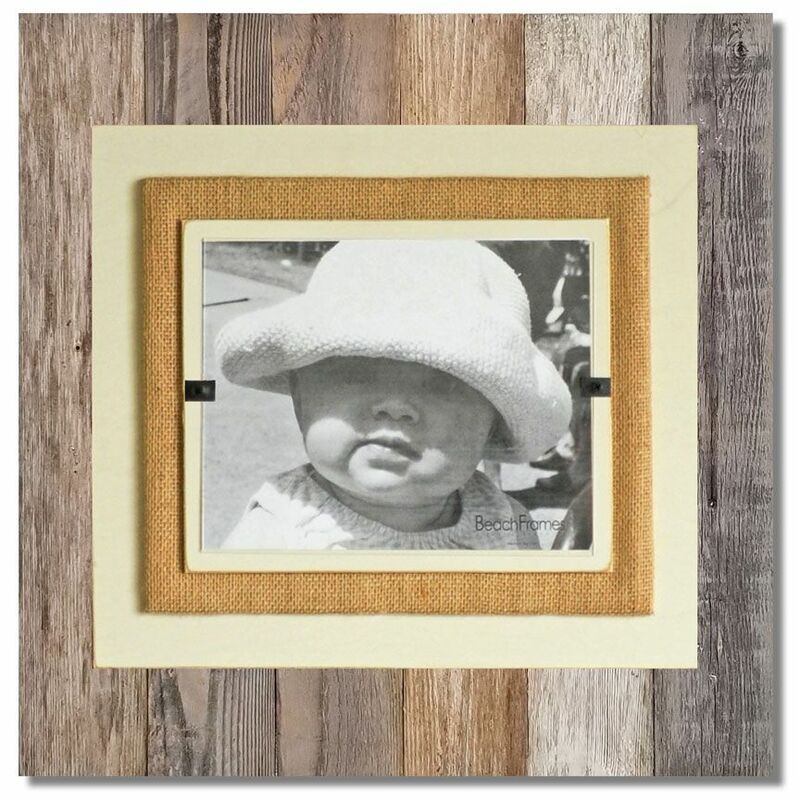 Painted frame portion available in cream or brown on weathered wood. Each weathered wood frame in this line is custom made - not mass produced right here in the USA with reclaimed materials. The production process takes approximately 2-3 weeks, but can run longer. When we confirm your order we will email you an expected shipping date.